but you have to admire the handiwork. 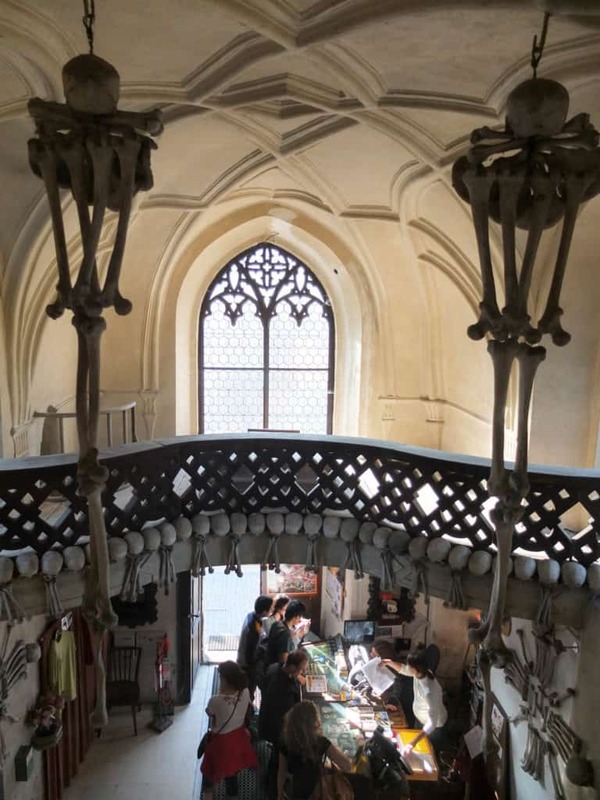 If you’re fond of femurs, craving for craniums or hankering for some humerus, or just seeking something totally different, this is the place for you! 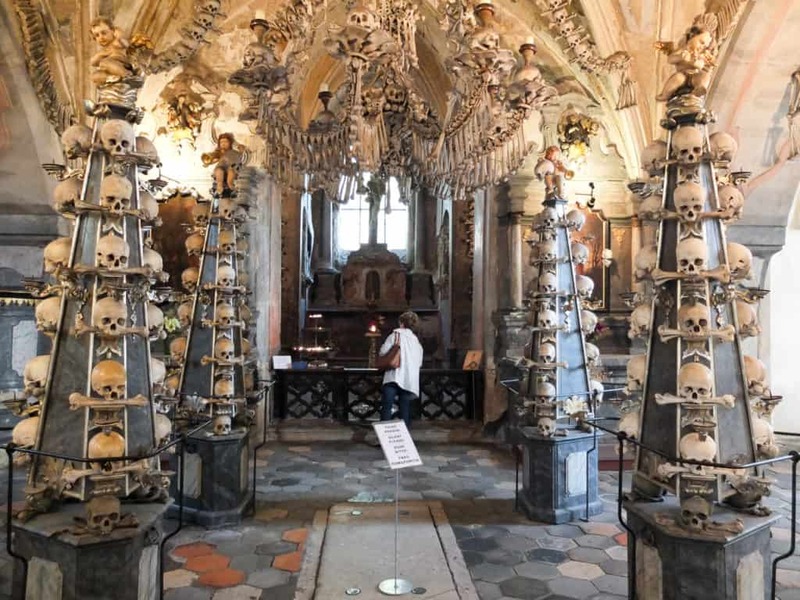 It’s the ossuary at the Church of All Saints at Sedlec, one of a number of UNESCO World Heritage sites in the vicinity of Kutná Hora, about 80 kilometres east of the Czech capital, Prague. It’s estimated that the remains of at least 40,000 people are on the premises, possibly even as many as 70,000, and as you can see from the photos, a great deal of creativity and imagination has gone into the presentation. Holy moly! What have we here? 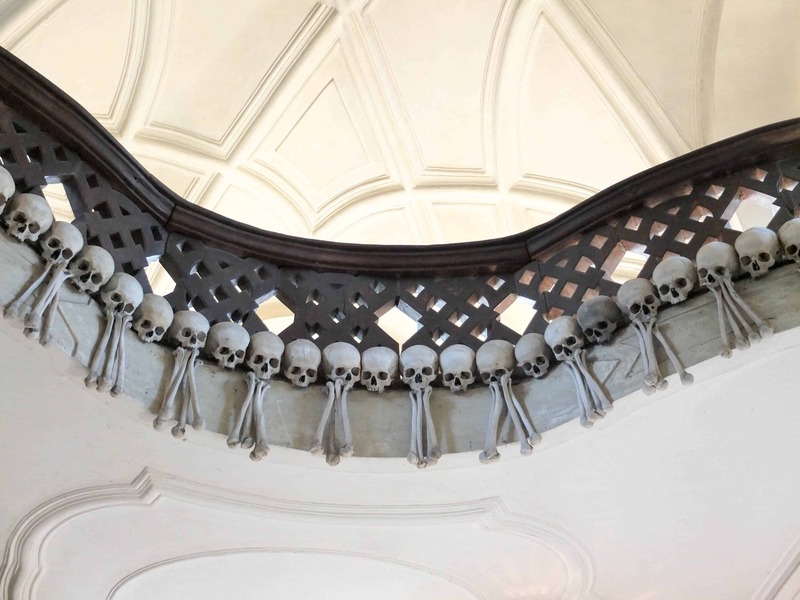 There are chandeliers, coats of arms, pyramids and other fancy elements made from bones. So, how did it all come about? The cemetery was part of a large Cistercian monastery founded in 1142. 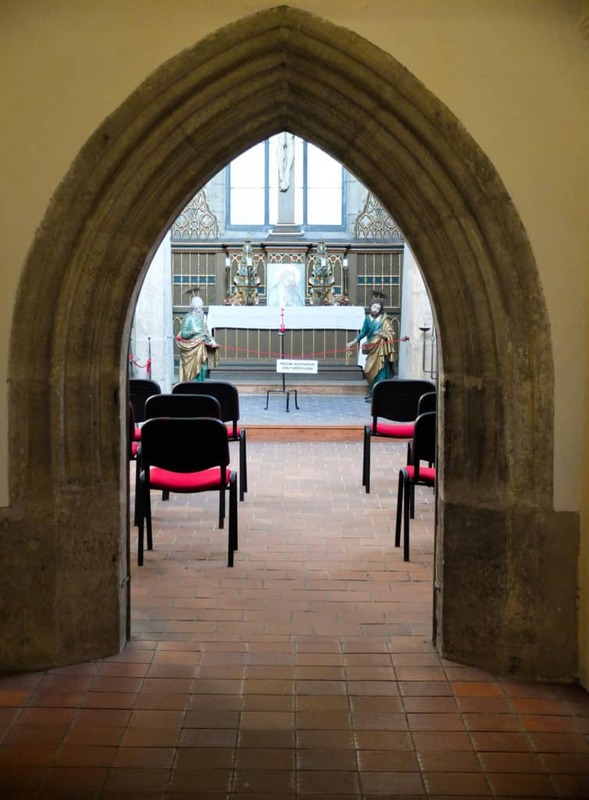 The Church of All Saints – a Gothic charnel house with an upper chapel and underground ossuary – was built in the late 14th century. Great epidemics took place at this time, and the cemetery became enormous, but by the end of the 15th century, space was needed for buildings. 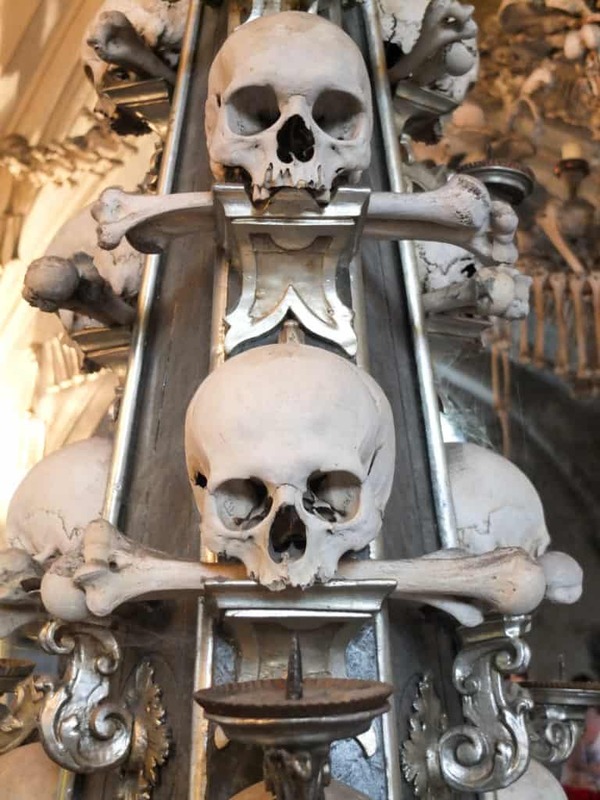 So, many graves were dug up, and the bones were moved to the ossuary – a task that was apparently assigned to a half-blind monk who was certainly not bone-idle. And according to legend, his sight was restored after he had completed the task. One of the more unusual works is a coat of arms. However, the impressive decorations that we see today are not the monk’s handiwork. They are much more recent – a local woodcarver, Frantisek Rint had to spruce up the place in 1870. What a job to have! And what an excellent job he did. 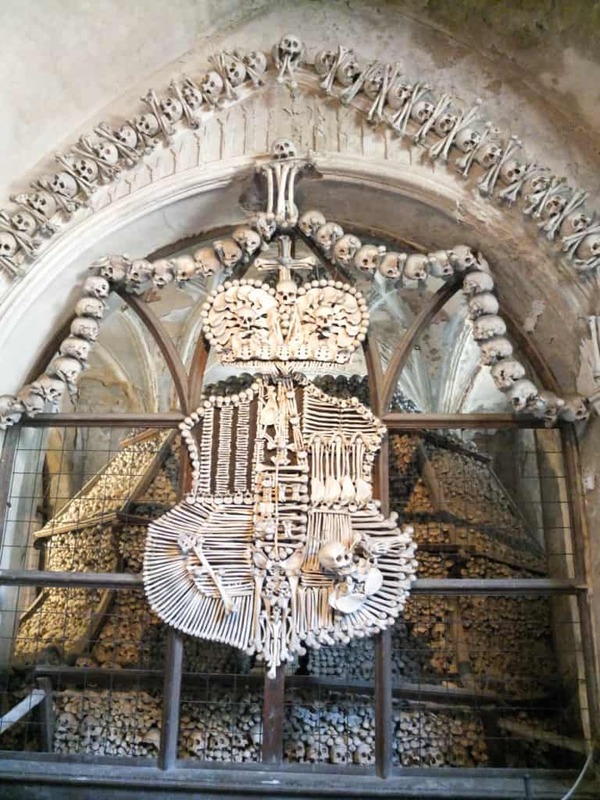 The ossuary is popular with tourists. A visit to the church is not as ghoulish as you might expect. You may even find it surprisingly serene, a rewarding emotional experience. The place is popular – about a quarter of a million visitors come here each year. The chapel upstairs is pretty normal. 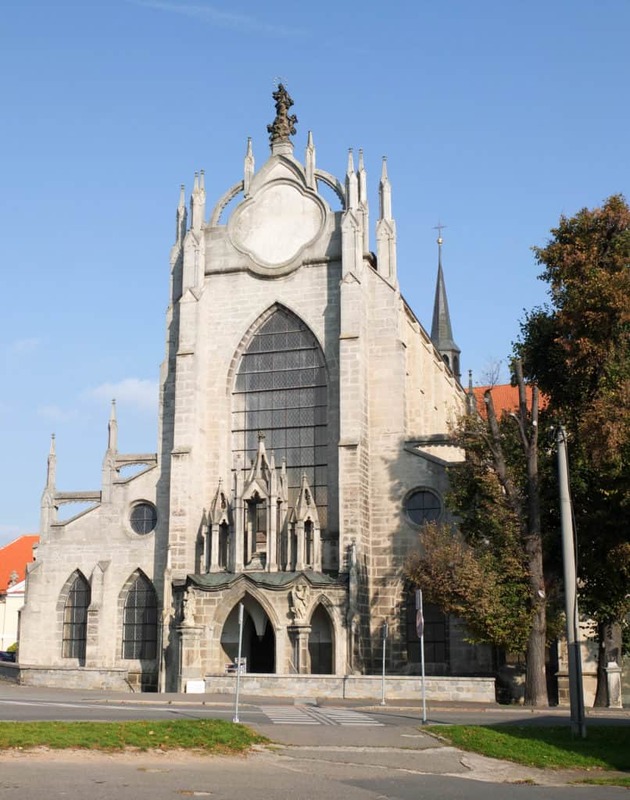 When you will visit the ossuary, you should also pop across the road to the Cathedral of Assumption of our Lady and Saint John the Baptist (below), which is also on the UNESCO World Heritage list. This building dates back to 1709, when a restoration was carried out by Jan Blažej Santini-Aichel – the original had been razed in 1421 during the Hussite wars. The Cathedral of Assumption of our Lady and Saint John the Baptist. 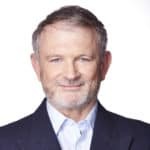 Bernard O’Shea travelled to Sedelec with assistance from Czech Tourism and Rail Europe. Photos © Bernard O’Shea.